The current article is on hickeys removal, quite an interesting one. To get rid of them from your skin, there are a good number of solutions. After all, they stay with you for a week or ten days at the most even untreated. But it is not perfectly safe to leave them as they are; it is not that difficult to get rid of hickeys as well. There are many natural home remedies for hickeys available. This article provides you the simplest ways to remove them out of your skin permanently without leaving any marks and side effects in other terms. Hickey is a kind of bruise on the skin. What causes a hickey is the action of deep kissing or sucking of the skin, which causes the capillaries of the blood vessels to break and make them pop up to the surrounding tissues, which makes them look red in color. After a due course of time, they turn brownish. These aren’t a big danger to your skin until you treat them to an extremely rough and rash manner. They stay on the skin for 10-12 days and fade away with the least chance of leaving any marks on the skin. 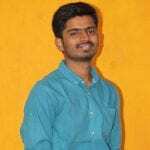 In the present article, we see the home remedies for hickeys, things to be taken care of before following hickey remedies, and finally how to cover the hickeys. In the search of remedies for hickey removal, you might not come across many more suggestions, as they are limited, though efficient. This is because hickeys are not severe things to deal with and also not dangerous or do not affect you in any other way while treating them in a natural way. But when you start using cosmetics, artificial lotions in an extreme range just to cover them up by not treating, you may end up with giant brown colored marks of them. So, in the hickey remedies list, these are the top organic tips to help you get rid of the hickeys. Check them out. The best method to reduce bleeding on a hickey is to apply a cold compress. The blood through the capillary action comes out from the vessels and clots at the surface. So, to stop this blood popping out and settling on the surface of the skin is to get it cold. This is done by cold compress effectively. There are several simple ways to apply a cold compress to get rid of hickeys efficiently and shortly; you can use an ice pack wrapped around with a paper towel and press it onto the surface of the hickey. Press it firmly and move the pack over the surface slowly and try to leave the ice on the hickey surface for twenty minutes then remove. Repeat this many sometimes on the first day, day by day you can reduce the number of times you apply. Do not place the ice on the hickey directly, use some contacting material like a clean cloth or a paper towel, etc. This is another best method to get rid of hickeys. It is just to rub the toothbrush around the skin at the hickey surface and spread the blood parts. Use a stiff-bristled toothbrush and brush the hickey part carefully, not to scratch out the surface that you may suffer a rash at the region. That may cause damage of swelling too. Vibrating toothbrushes is also a good choice. It is suggested to use a cold compress after brushing the hickey. This may reduce the heat generated at the region and try to give chilling effect, which helps in quick healing. Repetition should be there for better curing. After the two effective physical treatments, this one is a chemically reactive one. Peppermint oil or a mint oil or any lotion based on mint products help to get rid of hickeys. Apply peppermint oil or mint oil onto the region of hickey as a layer. The cream of mint creates the tingling This is what cures a hickey. When the tingling appears to be stopped, you can remove off the oil layer with a towel. This is a repeatable remedy but not to a large extent. Excessive application of mint causes irritation. However, this is a method effectively in use to better the circulation of blood and break the clotted blood. In the case of scarcity of mint oils or lotions, toothpaste also does the same job as them, with no ill effect. This is a short and simple method to get rid of hickeys in terms of time duration and equipment. But one thing to be cautious is this treatment brings in slight pain to the skin, but bearable. Any amateur rubbing/application of this method may worsen the situation. You may not be able to apply this for a hickey on neck as you cannot observe what’s happening with that unseemly operation, better don’t try that one. Use a coin, make the skin at the Hickey flat with the help of two fingers, carefully scrape the Hickey region without hurting the pain-sensitive clotted cells. This should be done carefully that you do not hurt yourself and successfully scrape out the red surface and push the cells away from the hickey. The reddened skin due to Hickey will also be in red color even after coining, but this will remove off the hickey and prevent the brown mark or any stretch marks through the thorough treatment. This is no special application to get rid of hickeys. It is quite similar as that of coining, brushing, and the very initial and efficient cold compress. Massaging the skin at the Hickey surface helps in breaking down the cells at the damaged part and helps in healthy blood circulation throughout the surface. Initially, apply a warm towel to the Hickey part to create some amount of warmth to your treatment area. Then start massaging with the fingers firmly on the area. Move the fingers in a circular manner from the centre of the hickey towards the outer edge of the hickey. This will create the circulating effect of the blood. Apply pressure on the hickey centre firmly with the fingers and slowly move them out of the centre radially. Repetition is required several times a day. 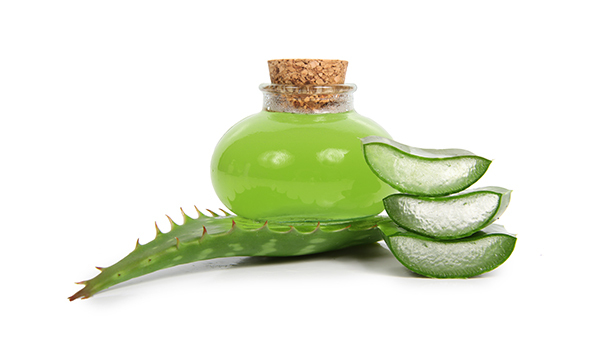 Aloe Vera has great moisturizing properties and it is known for its natural therapy for many numbers of skin problems.This could be termed as the healthiest of all home remedies for hickeys by knowing various advantages it has for skin health. To get rid of hickeys, you can directly opt for Aloe Vera with no hesitation. It is the best inflammatory agent and also has exceptional soothing properties which are essential for Hickey treatment. Repeat the treatment for a couple of days, applying 3 times each day. This will show a better natural effect than many solutions for all skin problems. It is also one of the excellent skin whitening agents which can stand first in the list. There is a particular need for Vitamin C to get rid of hickeys, in which case, orange has a unique role to play. It is better to have orange juice each day to better your health condition too. It provides better skin glowing properties and also heals many inner problems of the body. Taking Vitamin C pills is also not a bad idea, but only prefer them in the scarce situation of oranges or any other Vitamin C products. Banana peel also works in the hickey problems. Hickey on the neck is removed best by banana peelings. Cut the peel of the banana into the size of your hickey and press it to the surface of Hickey and keep it there for 20 to 30 minutes. This long session creates the better soothing effect and cooling effect. Soon in 3 days, you can observe a reduction of the brown mark size on the skin. Once we are done with the limited yet effective hickey remedies, we shall know what causes a hickey to get worsened if not treated. Find out how a hickey is to be dealt with though it’s neither a rocket science to know nor a nation’s problem to handle when it is a health issue, it is a Health Issue. Vitamin K prevents the blood clotting and also cures the clotted blood. This is the best-suited vitamin In the current problem. By increasing the intake of vitamin K, you can surely get the problem minimized.This should be actually placed in the hickey remedies, but this is just a precautionary measure, not as quickly important as the above-mentioned treatments. For the treatment, you can just apply any lotion with rich Vitamin K content for 3 days continuously and see the result. The healing process of the hickey is improved to the better extent by this application. It makes the muscles and cells reabsorb the blood cells which are clotted due to Hickey. Cauliflower, Mustard, Spinach, Brussel sprouts, Kale are some vegetables which are rich in Vitamin K.
Vitamin C is also of importance in the current problem. It increases the healing speed with other treatments. It alerts the cells to become more active to break down the clots. 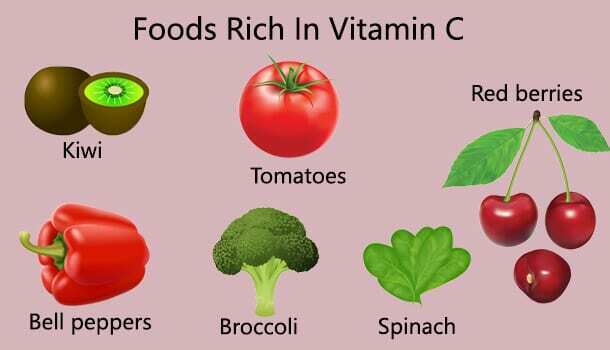 There are oranges, lemon, sweet potatoes, berry fruits, and red peppers which are rich in C Vitamin. This looks pretty contradictory; it was a suggestion as the best home remedy for hickey. But when you do not know the skill of massaging, this will be pulling you to the other side of the solution. You may get yourself hurt in the meantime or increase the level of the problem by over treating the things. Do not press out the hickey clot roughly as if healing gets quicker. This will create the hickey to show up more visibly than the past. Do not even think of trying a needle to drain the blood out of the hickey. This is a hurting thing, not a treatment. You can never get out of the things by doing so. Of course, the smoking has never been a great hobby for anybody, one might be Richie Rich, one might be incredibly perfect with his/her immune system and health condition, you will never stay unaffected by smoking. And now, at this issue to get rid of hickeys, it has a particular reason. Smoking retards blood circulation, so, you may not get the clotted blood settled down as faster as you expect. This is a physical reason, not an emotional or inspiring quote to provoke for quitting the smoking. An extra mile suggestion is that if you are a youngster, you are only one of all age groups, who get more disturbed by smoking. The body gets a shape in this age, and smoking retards it in spite of any configuration of food you may choose. So, avoid smoking as soon as possible. Now, after all, that good favorable suggestions made, you got this wittiest problem in this interesting yet annoying problem. Your partner might have that favorite spot where there is a hickey each time, but after knowing this thing, you should be asking your partner to choose for another space to present you a hickey. The careful treatment which you are searching for, becomes unusable after a day, again you have to start the treatment, with a severe challenge ahead, treating a bigger hickey. Another thing to mention, initially suggest your partner to choose the region where it isn’t commonly visible, it will help you in hiding the hickey even you are unable to heal it at times. Let us now look at this critical situation, where you have no good time to care for your skin in a busy schedule of work. Then it becomes the need to cover the hickey. Early in the morning, you found out a hickey on your skin; there it is an emergency to cover it up with something. This is most needed if you are an introvert. Cover the hickey with your accessories like a scarf. You can also wear jewelry which almost covers the hickey, especially for a hickey on the neck. By a suitable outfit, you can wear these things and cover them for a day or two, after which you should essentially start the treatment. Longer observation of the way you are dressing up may become suspicious of the people. You can also make use of the hair to cover them up momentarily before the people, if you have long hair, only! Concealers are the best way to cover hickeys. Makeup with the concealer to fade them into your skin color. Use a green one if the hickey is at the initial stage, as the days go, hickeys change their color, then shift the concealer to pink color; this will hide the thing. This is all about the interesting problem of home remedies to get rid of hickeys. Hoping our article has become useful to your search, we expect the feedback from your side!